The makers claim that ‘global and orbital travel will never be the same’. A new air-breathing rocket engine is ready for a major round of testing in the next 18 months after having passed a preliminary design review by the European Space Agency (ESA), reports Space.com. 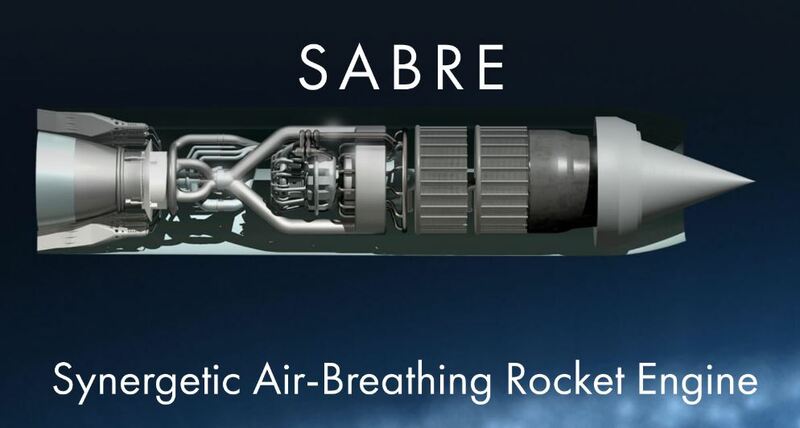 The Synergetic Air-Breathing Rocket Engine (SABRE), which is being developed by the U.K. company Reaction Engines, can switch between two modes. In aircraft-engine mode, it uses oxygen from the atmosphere, and in rocket-engine mode, it burns an oxidizer carried onboard together with the fuel liquid hydrogen. The technology, deemed particularly promising for suborbital spaceflight and supersonic intercontinental travel, could one day revolutionize space transportation, advocates say. This report is talking about coastal mangrove forests in particular. The target is over a billion new trees, but it’s claimed two operators with ten drones could plant 400,000 trees a day. British engineers have created a seed-planting drone which could help restore the world’s forests, reports the London Evening Standard. 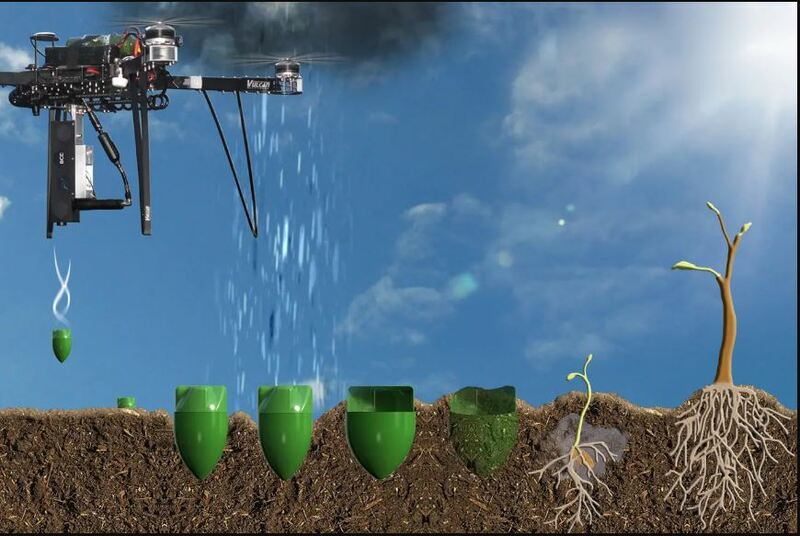 Biocarbon Engineering, a start-up based in Oxford, designed the drones to fire seed missiles across fields, planting hundreds of potential trees in a matter of minutes. In September 2018, the drones were deployed in a field just south of Yangon, Myanmar. The seeds they sowed have since grown into tiny mangrove saplings, about 20-inches tall. 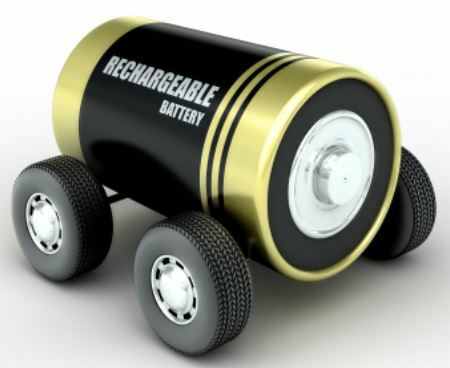 Various battery proposals sound promising, but few seem to survive the development stage and make it commercially. This outfit says it already has some sales, and plans to ‘build 100-megawatt-plus installations within a couple of years.’ Will it work out that way? A South Australia-based startup says it’s built a thermal energy storage device with a lifetime of at least 20 years​ that can store six times more energy than lithium-ion batteries per volume, for 60-80 percent of the price, reports New Atlas. 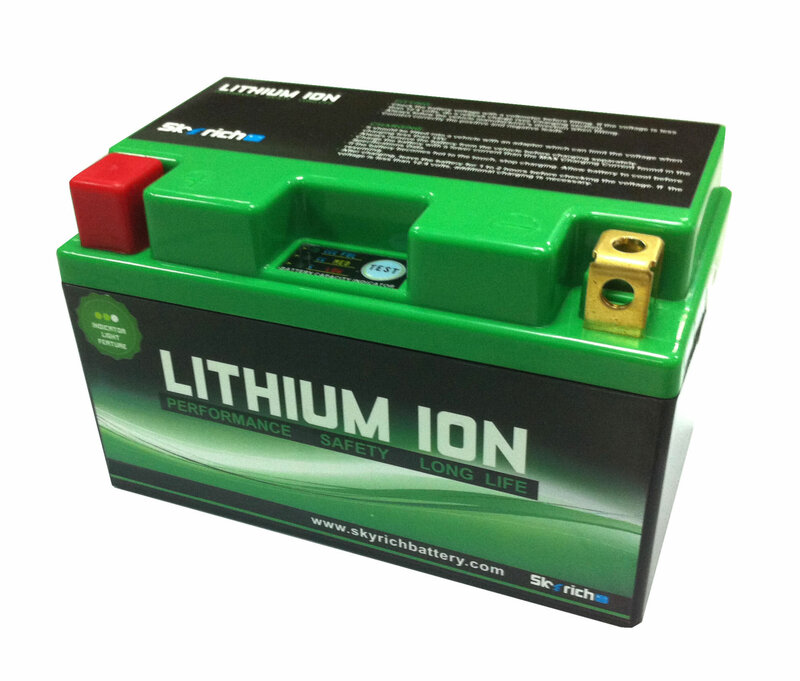 South Australia has recently put the world’s biggest lithium battery into operation – but perhaps it should’ve waited. 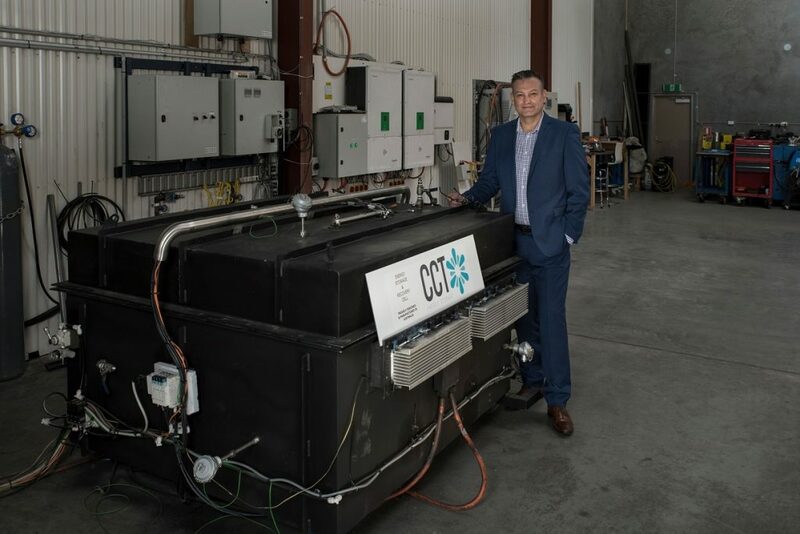 Climate Change Technologies, also known as CCT Energy Storage, has launched its TED (Thermal Energy Device) with a set of remarkable claims. As usual with these types of experiment, nothing can be assumed unless or until the tests of economic and industrial viability have been passed. They say the electrode ‘is able to go more than a thousand hours’ but that’s still only a few weeks. Storage and management of hydrogen is known to be tricky and expensive compared to most other fuels. Stanford researchers have devised a way to generate hydrogen fuel using solar power, electrodes and saltwater from San Francisco Bay, reports Phys.org. 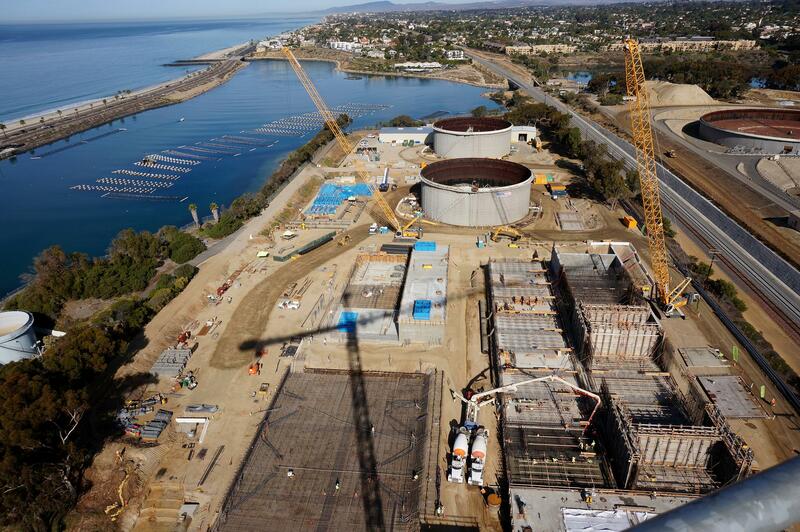 The findings, published March 18 in Proceedings of the National Academy of Sciences, demonstrate a new way of separating hydrogen and oxygen gas from seawater via electricity. Existing water-splitting methods rely on highly purified water, which is a precious resource and costly to produce. Maybe there’s some military angle to this. As the report says, it ‘will be difficult and costly’. Capturing the sun’s power will be cloud-free, but when transmitting to the ground the clouds are still there. China wants to put a solar power station in orbit by 2050 and is building a test facility to find the best way to send power to the ground, reports MACH (NBC News). As the green energy revolution accelerates, solar farms have become a familiar sight across the nation and around the world. 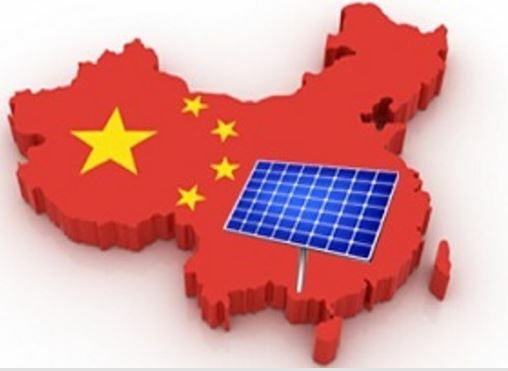 But China is taking solar power to a whole new level. The nation has announced plans to put a solar power station in orbit by 2050, a feat that would make it the first nation to harness the sun’s energy in space and beam it to Earth. These types of tech ‘breakthroughs’ tend to have a low survival rate in the real world, so we await any developments – or not. Bioscience engineers at KU Leuven have created a solar panel that produces hydrogen gas from moisture in the air, reports Science Business. After ten years of development, the panel can now produce 250 litres per day – a world record, according to the researchers. Twenty of these solar panels could provide electricity and heat for one family for an entire winter. The Oak Ridge molten salt program operated in the mid-1960s but was terminated in January 1973. Could something like it make a comeback in today’s climate-obsessed world? One obvious selling point is the ability to consume spent nuclear fuel from traditional nuclear reactors. 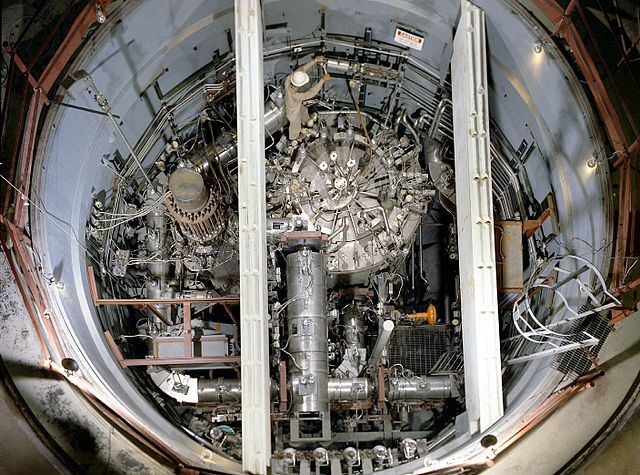 Molten salt nuclear reactors may be the key to producing clean power without the dangers of a meltdown, says The Crux. Troels Schönfeldt can trace his path to becoming a nuclear energy entrepreneur back to 2009, when he and other young physicists at the Niels Bohr Institute in Copenhagen started getting together for an occasional “beer and nuclear” meetup. There’s more to LED lighting than meets the eye, for example in durability and reduced energy use, as Phys.org reports. But claims they can help the climate seem somewhat starry-eyed. 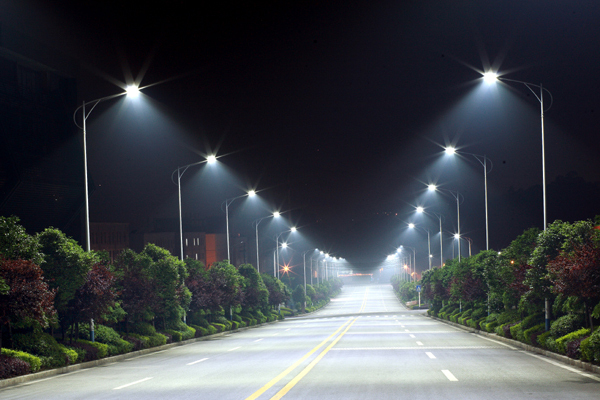 A revolution in energy-efficient, environmentally-sound, and powerfully-flexible lighting is coming to businesses and homes, according to a paper in latest special energy issue of Optics Express, the Optical Society’s (OSA) open-access journal. The paper envisions the future of lighting—a future with widespread use of light emitting diodes (LEDs), which offer a number of obvious and subtle advantages over traditional light bulbs. As with all battery-related news, it has to be treated with caution. Such ideas more often than not fail to turn into practical realities. New technology promises an end to motorists’ ‘range anxiety’, reports NBC News. Electric vehicles are easier on the environment than their gasoline-powered counterparts, but their long charging times and the scarcity of charging stations can make life hard for the eco-conscious motorists who drive them. Now help may be on the horizon. Can silicon anodes be a great leap forward in battery technology? As ever there’s a big gap to be bridged between lab tests and industrial-scale application, but tests seem promising. The latest lithium-ion batteries on the market are likely to extend the charge-to-charge life of phones and electric cars by as much as 40 percent, says TechXplore. This leap forward, which comes after more than a decade of incremental improvements, is happening because developers replaced the battery’s graphite anode with one made from silicon. Research from Drexel University and Trinity College in Ireland now suggests that an even greater improvement could be in line if the silicon is fortified with a special type of material called MXene. As if city traffic and parking isn’t a big enough headache already for anyone who attempts it, along comes another issue. The proposed cure isn’t much fun either. 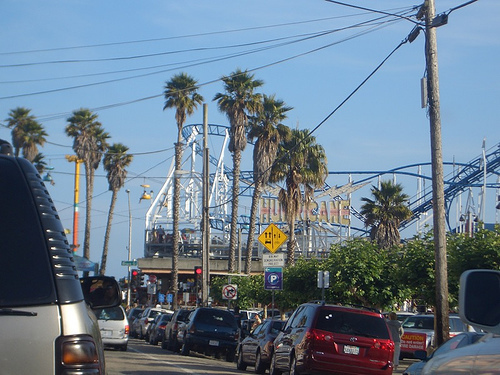 Autonomous vehicles “have every incentive to create havoc,” a transportation planner says. UC Santa Cruz Magazine reporting. With no need to park, self-driving cars will clog city streets and slow traffic to a crawl. However, a policy fix could address these problems before autonomous vehicles become commonplace, says Adam Millard-Ball. 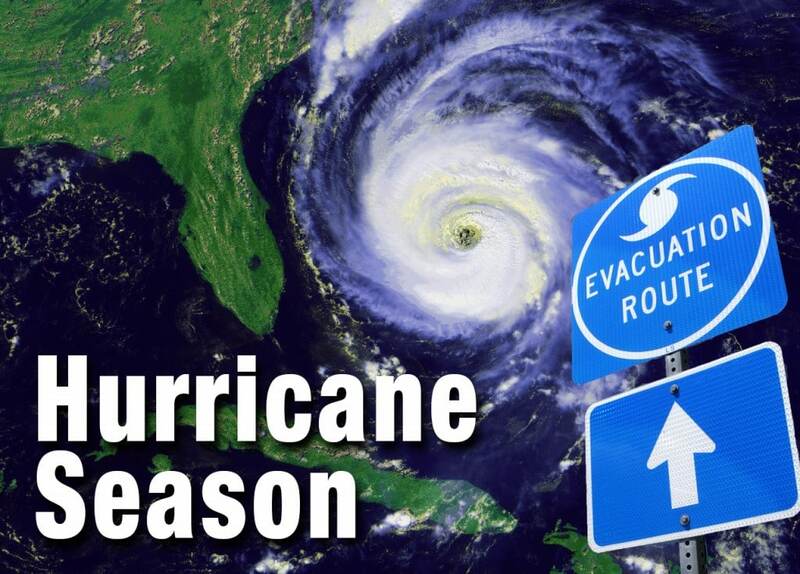 Researchers found that all 11 hurricanes they investigated that went through the mid-Atlantic in summer experienced ahead-of-eye cooling. This indicator was not previously known. The key to predicting storm intensity may lie below the surface, says Undark magazine. In August 2011, with Hurricane Irene bearing down on the mid-Atlantic coast, Scott Glenn, an ocean engineering researcher at Rutgers University, made a bold decision. While most other research teams moved their ships, personnel, and expensive hardware to safety ahead of the hurricane, Glenn left his data-collecting drone—a torpedo-shaped underwater “glider” about 6 feet long and worth about $150,000—directly in its path. 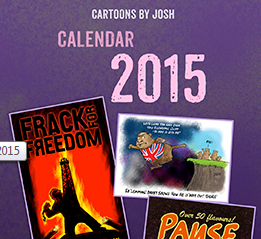 The oil industry is not about to go away and die quietly, contrary to the wishes of climate alarmists – far from it. 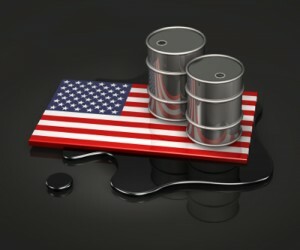 A new exploration technique has uncovered a deposit containing more than 1.5 billion barrels of crude oil in Alaska’s North Slope, reports OilPrice.com. Digital technology adoption in all stages of upstream operations in the oil and gas industry has seen a steep rise recently. While a lot has been written about the benefits of digitizing various aspects of the well-drilling, extraction, and field maintenance processes, there is also another major field where digital tech is changing the game: before the well-drilling even begins. The very fact that these kinds of idea are being put forward is another admission that renewables are chronically intermittent and unreliable as electricity generators. We’re told ‘considerable investment’ would be needed but they ignore the fact that, for less cost and complexity, some reliable new gas power stations would be a far more practical plan. By pumping compressed air into porous rocks deep under the sea floor, scientists think we could effectively store energy for months at a time, says Discover magazine. With reports about climate change becoming increasingly dire, it’s increasingly important to find an eco-friendly way to not only generate energy, but also store it. After all, wind turbines and solar power and the like don’t run steadily. So we can’t just stick that extra energy in a bottle to use when the wind dies down and the sun sets. Sounds like a cruise ship that doesn’t go anywhere. 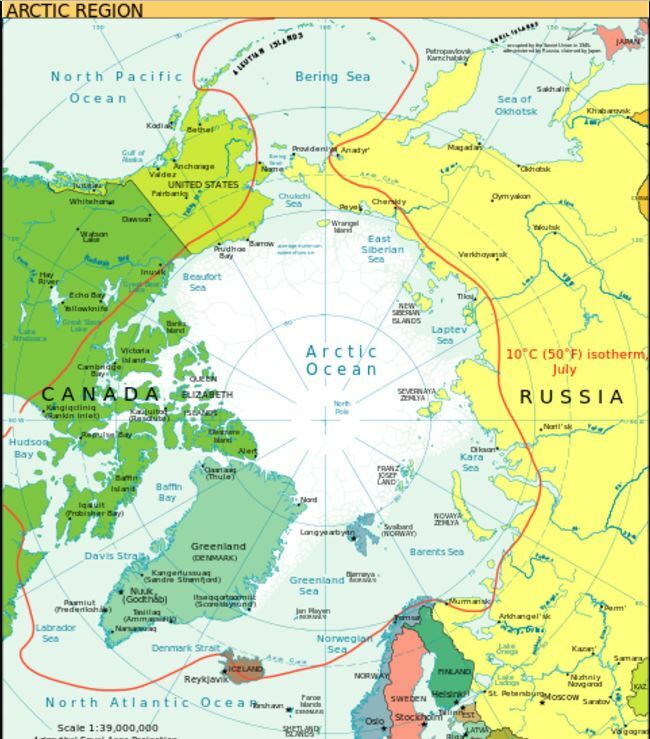 Developers in Singapore intend to ship thousands of Asians to a tourism machine in Arctic waters, reports the Barents Observer. «People want to visit new places and experience something different,» says Aziz Merchant. He is Executive Director of the Keppel Offshore & Marine Technology Centre, a unit under the powerful Keppel Group, and participated in this week’s Arctic Frontiers in Tromsø, Norway. «From the Asian perspective, tourists want new challenges, they want to explore areas that has not been explored before. Like with space tourism,» Merchant said in an address delivered at the conference. A longer delay in the middle of an existing process could be the key to even greater success than is currently being achieved. Oil companies are missing out on vast sums of recoverable oil in unconventional reservoirs, according to Penn State experts, as Phys.org reports. 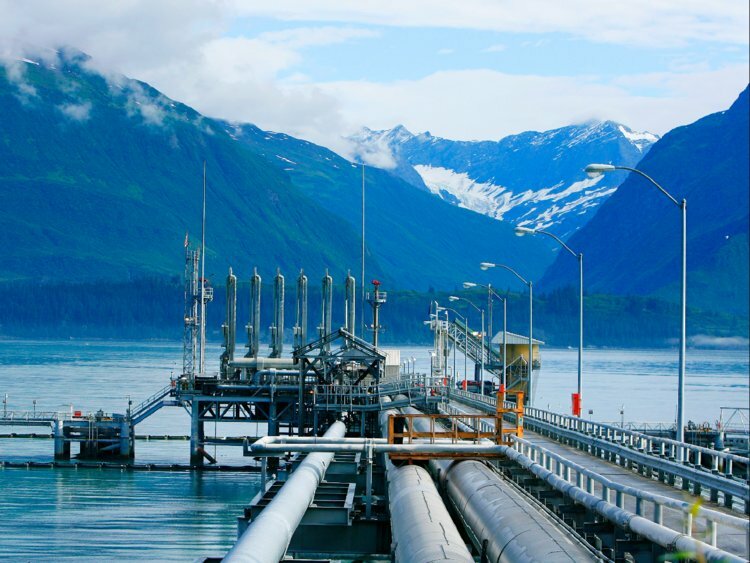 The researchers propose that companies are applying tried-and-true transport mechanisms for conventional oil extraction but are hitting recovery stumbling blocks because they are not accounting for the difference in physics found at unconventional reservoirs. 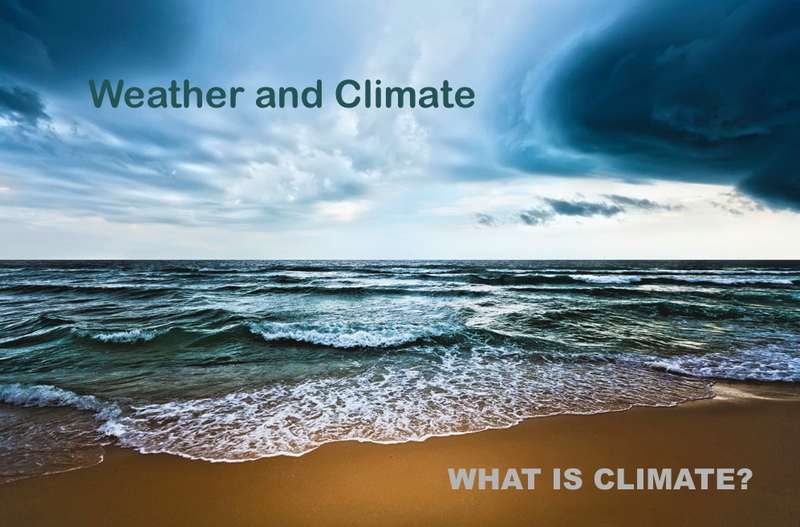 This supports the idea that temperature cycles in the region of 60 years are very likely a common feature of Earth’s climate. Deploying a new technique for the first time in the region, geoscientists at the University of Massachusetts Amherst have reconstructed the longest and highest-resolution climate record for the Northeastern United States, which reveals previously undetected past temperature cycles and extends the record 900 years into the past, well beyond the previous early date of 1850, reports Phys.org. 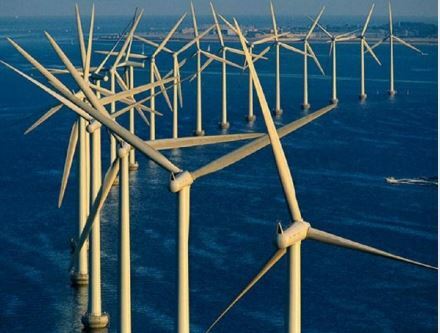 This may or may not have its uses, but any idea that the whole world could get electricity mainly from the sun and the wind is not credible, with today’s technology at least. MIT engineers have come up with a conceptual design for a system to store renewable energy, such as solar and wind power, and deliver that energy back into an electric grid on demand, says TechExplore. The system may be designed to power a small city not just when the sun is up or the wind is high, but around the clock. The new design stores heat generated by excess electricity from solar or wind power in large tanks of white-hot molten silicon, and then converts the light from the glowing metal back into electricity when it’s needed. The researchers estimate that such a system would be vastly more affordable than lithium-ion batteries, which have been proposed as a viable, though expensive, method to store renewable energy. They also estimate that the system would cost about half as much as pumped hydroelectric storage—the cheapest form of grid-scale energy storage to date. Henry and his colleagues have published their design today in the journal Energy and Environmental Science. The new storage system stems from a project in which the researchers looked for ways to increase the efficiency of a form of renewable energy known as concentrated solar power. Unlike conventional solar plants that use solar panels to convert light directly into electricity, concentrated solar power requires vast fields of huge mirrors that concentrate sunlight onto a central tower, where the light is converted into heat that is eventually turned into electricity. “The reason that technology is interesting is, once you do this process of focusing the light to get heat, you can store heat much more cheaply than you can store electricity,” Henry notes. Concentrated solar plants store solar heat in large tanks filled with molten salt, which is heated to high temperatures of about 1,000 degrees Fahrenheit. When electricity is needed, the hot salt is pumped through a heat exchanger, which transfers the salt’s heat into steam. A turbine then turns that steam into electricity. However, if operators were to heat the salt much beyond current temperatures, the salt would corrode the stainless steel tanks in which it’s stored. So Henry’s team looked for a medium other than salt that might store heat at much higher temperatures. They initially proposed a liquid metal and eventually settled on silicon—the most abundant metal on Earth, which can withstand incredibly high temperatures of over 4,000 degrees Fahrenheit. Since that development, the team has been designing an energy storage system that could incorporate such a high-temperature pump. 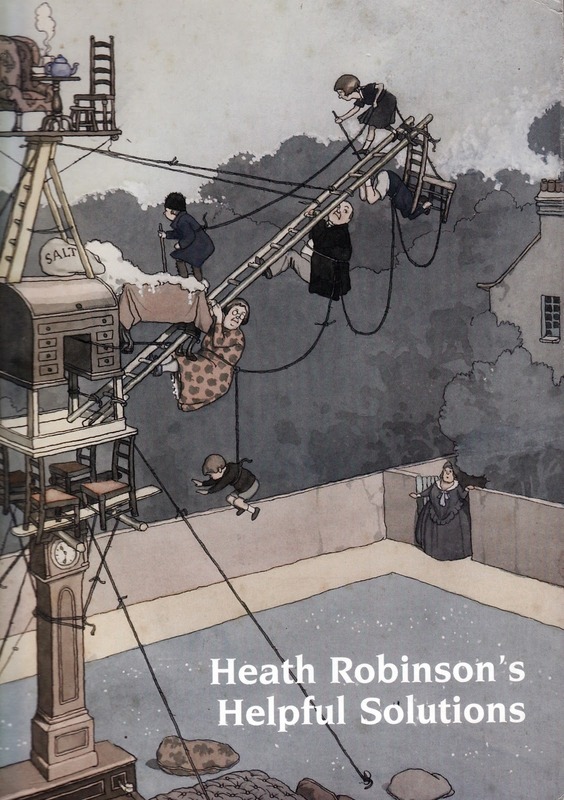 The spirit of Heath Robinson lives on. The experimental device is part of the secretive Google X research lab, reports Euronews. One day, generating renewable energy could be as simple as flying a kite — but not just any kite. After more than a decade of development work, an experimental “energy kite” capable of tapping into strong high-altitude winds is now being tested on Hawaii’s Big Island, West Hawaii Today reported. Could this be a viable option for aspiring EV owners who can’t park close enough to their homes to charge their batteries? A bit like a power bank for electronic devices, except not pocket-sized. £40 million is on the table to get a competition started. FreeWire Technologies, a pioneer in flexible electric vehicle (EV) charging technology, has received funding from the Office for Low Emission Vehicles and Innovate UK to participate in the Wireless Electric Vehicle Charging for Commercial Users competition, reports BusinessWire. Supported by international energy and services company Centrica plc and delivered in partnership with Westminster City Council, the project will combine FreeWire’s mobile EV charging technology with Zipcar UK’s electrified fleet and driver patterns to test the feasibility of scalable on-demand EV charging deployments.